I wanted to bring something special for the kids at playgroup this week and found this cute DIY Pumpkin Patch from one of my favorite party blogs Hostess with the Mostess. 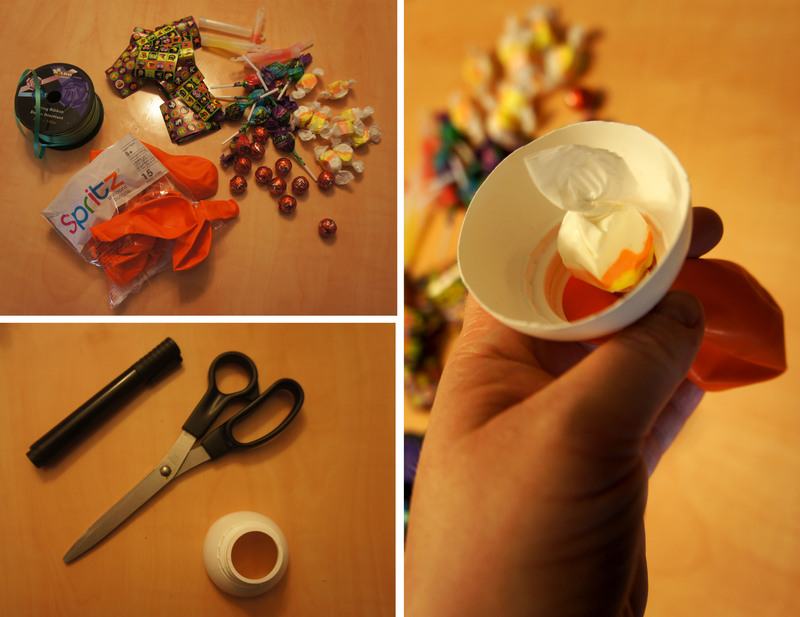 After gathering up some orange balloons, green ribbon and small treats, I set to work following the great tutorial on Hostess with the Mostess. 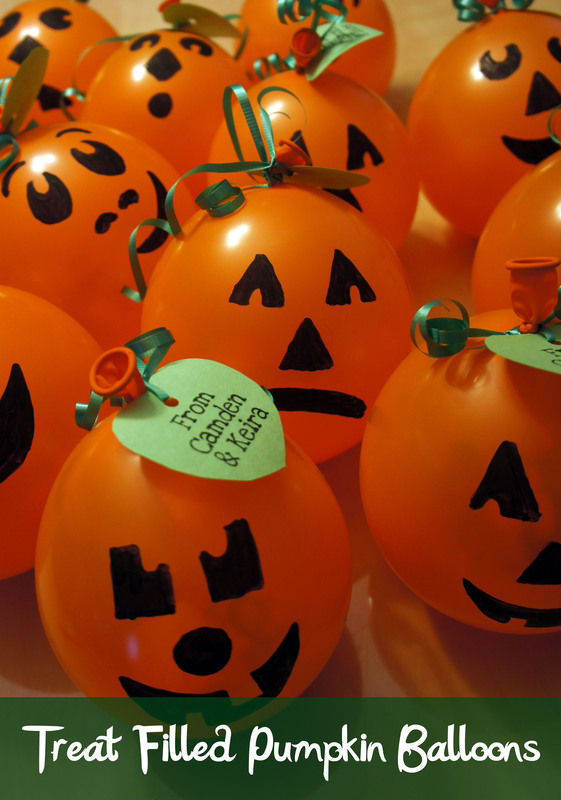 To help get the treats in the balloons, I cut off a chocolate milk bottle and put each balloon on the end. 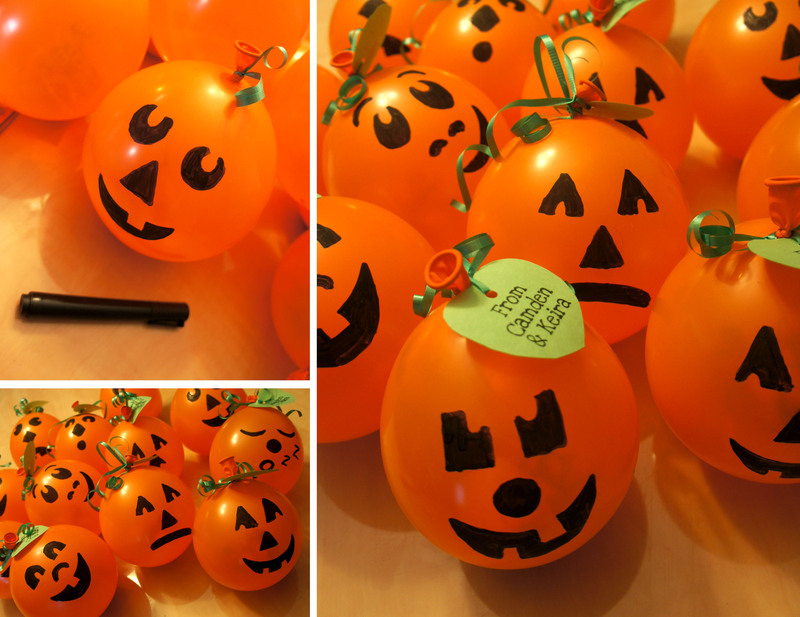 Suckers may not have been the best treat choice because I did end up with a few deflated balloons, but luckily I still had enough pumpkins for all the kids. Other treats I included inside were chocolate foil pumpkins, a piece of candy corn saltwater toffee, a small glowstick and Halloween stickers. Once filled and inflated, the toughest job was drawing on all the faces in permanent marker. To finish off my pumpkins I used some ribbon and tied on a leaf shaped tag that read “From Camden and Keira”. 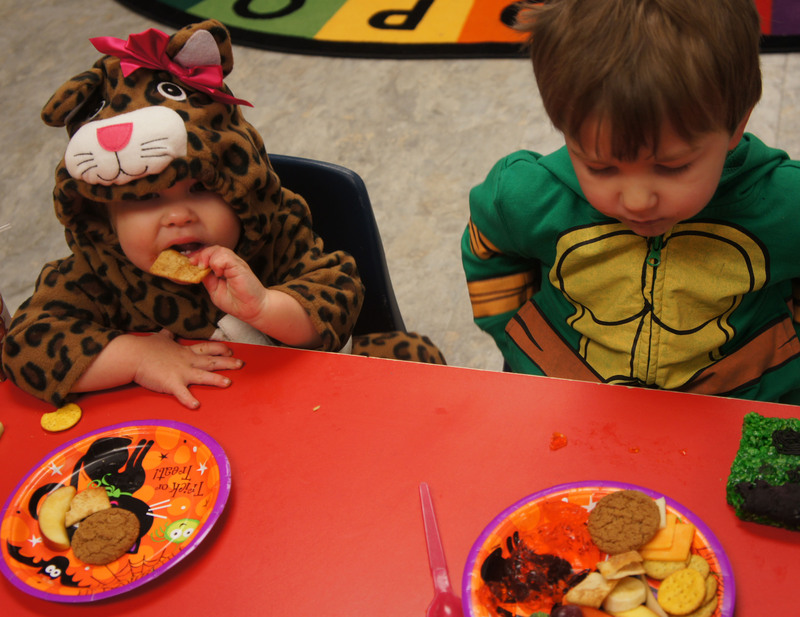 We also had to bring a treat to playgroup that day so I made this delicious Pumpkin Fluff Dip I found on the Kraft Canada website. 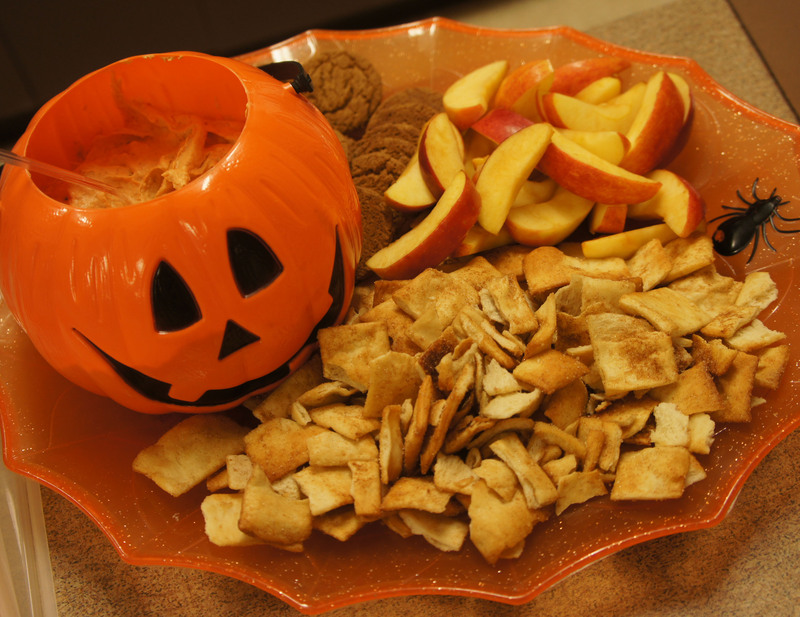 I served it with some sliced apples, cinnamon sugar pita’s and ginger snaps. I am not sure too many of the kids ate it, but us mommy’s sure liked it!